No longer a celebrity, pregnant lady, expectant. from flushed and floating, lush and curled. Now you are the pink one, the movie star. I heard this poem while listening to a podcast (on Being) that friends recently recommended to us. 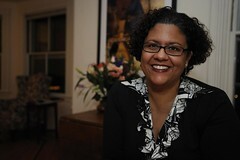 Elizabeth Alexander read one of her poems at President Obama's inaugural ceremony. She also birthed two children within a year. The second is more impressive to me at the moment. In the podcast she said that becoming a mother forced her to write whenever she could - not when the moment was 'right' or she felt inspired. She'd often create while awake with her babies in the night or while they ran around the living room. I find it hard to even post a blog weekly, and I only have one baby. I find it even harder to actually put ideas onto paper - even half ideas or a few sentences. I'm always looking for that anticipated surge of creativity or that irresistible urge to express myself. And it's rarely there - in fact, weeks go by without even a hint of inspiration. But it's something that really gives me life, when I do sit down and write, whether it's a letter to a friend, a poem or a few thoughts I've been pondering. Even a journal entry simply stating the events and thoughts of the day feels really ... good. Ms. Alexander encouraged me to just do it, to scribble down words while my son nurses or is in his highchair with fruit slices, or during the 5 minutes of the day where he actually forgets about me and plays with (gasp!) his toys. That's the real time, in real life, where beautiful new things can be born from the womb of this awesome and bone-tiring mothering that I live. I don't have to try and escape that in order to write something that gives me life. In fact, the really good stuff is probably waiting there in the shadows of boy and mama and our endless numbered days. At eleven months, my son really only has one word that he uses regularly. No, not mama, but wouldn't that be nice? Not dada either. Phew. His word is 'nai nai'. Nai nai means milk in Saf language. And the only milk he's ever had comes from me. At first it was really sweet to hear him ask for nai nai and it was great to feel like I could really understand for sure what he wanted. This afternoon he asked for nai nai three times in an hour, probably because I was sitting down having a conversation with someone. I realize we're entering a whole new chapter of our breastfeeding relationship, and he's not even a toddler yet. 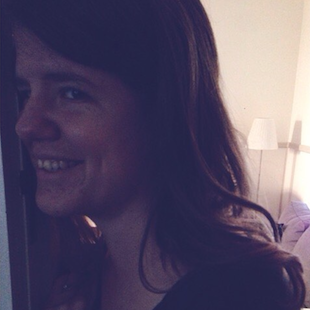 In my last weeks of pregnancy with Safran, I imagined the birth over and over again. And it was always ending with a screaming, fresh baby on my chest, latching on and suckling within the first few minutes. I really couldn't wait. Unfortunately we had a fairly complicated and traumatic birth (which I hope to write about soon) and our little Safran was only on my chest for a few seconds before being surrounded by midwives and doctors on a resus trolley and then transferred to a top level hospital in Sydney for special care. I spent my first night as a mother alone, as my own complications kept me from joining him until the next day. Within an hour of the birth my midwife helped me hand express my colostrum into a syringe to be sent to Sydney with Safran, which was fed to him through a tube directly into his stomach. From then on, every 3 hours I hand expressed and saved colostrum until I was able to use a hospital grade electric pump. first cuddle. cannot handle how gorgeous he is. Because Saf needed to be cooled (on a bed with ice packs around his body) to slow his metabolism and stop any potential brain damage from oxygen deprivation during the birth, when I arrived at the hospital in Sydney I wasn't able to hold him for a few more hours. At about 30 hours Chris and I had our first cuddle with him, which started the process of warming him up to his normal body temperature. At 36 hours was my first chance to breastfeed. I sat in a chair in a busy NICU surrounded by other parents and nurses, lights bright, and Saf's nurse carefully unplugged and handed my child to me. Finally. He eagerly latched on, sucked twice and promptly fell asleep, unable to be woken. It was amazing. Four hours later (hospital protocal) I fed him again and this time he nursed for at least 7 or 8 minutes. It was fabulous. The nurses would wake me up every 3-4 hours in the night to come and nurse my son, and I was just overjoyed, though exhausted and in pain from the birth. But just overjoyed. I looked forward to taking him home and letting him nurse as frequently as he wanted. After 5 days we were home. Saf had been given a pacifier in the hospital upon his first transport to Sydney, to help keep him calm since I could not be with him. I momentarily cringed but knew it was best for my hurting son. When we arrived home we stopped giving him the pacifier and realized that his latch was becoming quite painful for me. I spent about a week working on his latch - trying to get his little chin nice and open before latching on. This meant breaking the suction and re-latching him sometimes 10-12 times during each feed. It was hard. At 2 am (and 4 am and 6 am) I really, really just wanted to let him have the painful latch and just feed so we could both go to sleep. But I knew that it was crucial that we fix the latch, no matter how hard it was. It was hard. But we did it. And now, almost a year later, nursing is one of our favorite activities - in the morning upon waking, multiple times in the day no matter where we are, in the evening and before bed. And multiple times throughout the night. Nai nai is so much more than milk and nutrition. It meets my baby's need for closeness and cuddles, for intimacy and calm, to process his feelings of frustration and infuse him with joy. It's pretty awesome. And as frustrating as it is to have Saf ask 3 or 4 times in an hour for his beloved nai nai, I know it won't be long before he's forgotten all about that which he currently needs so much. And with the difficulties surrounding his birth we are very fortunate to have established such a good breastfeeding relationship. I remind myself of that in the wee hours of the morning when I hear that sleepy voice mumble my name. Well, almost my name. My quarter Indian son has blonde hair. And he still has blue eyes, although its seems like brown is creeping in. He doesn't even speak a lick of Hindi. He is obsessed with our chaotic spice drawer, which is at the perfect level for his little hands to open and explore. And upon entering, he immediately grabs the curry powder. And puts it to his mouth. And is very upset if I take it away. See, he really is a quarter Indian.